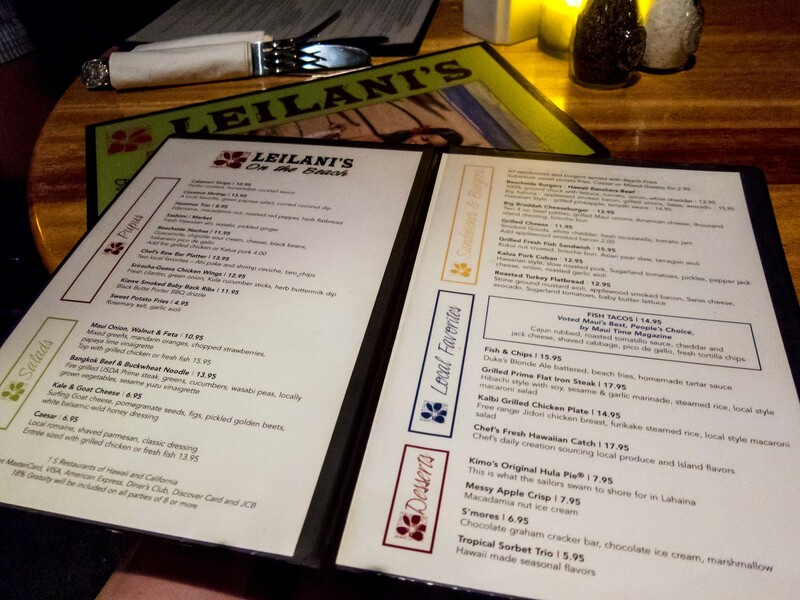 Leilani’s is the second restaurant we visited for dinner in Maui, just across from Hula Grill in Whaler’s Village. 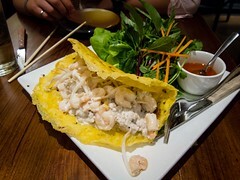 We were still trying to get over jetlag but had worked up a nice appetite from walking around Lahaina. 6pm dinner Maui time was still 12am back in Toronto. 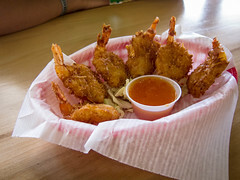 Atmosphere: Similar to Hula Grill, Leilani’s offers a sit in dining area and a beach side one. We chose to line up for the Beach Side Grill because it had the shortest queue and we were hungry. 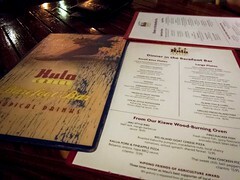 The set up felt like a giant patio, there was no live music but the tables felt less crowded than Hula Grill. Giant umbrellas provided shade and protection from the rain, which turned into a heavy pour while we ate. Again, I would guess that more 95% of the diners were tourists. Service: Nothing was spectacular or disappointing. Our server was professional and efficient. I was impressed at how quickly the staff rolled out a large awning when the rain grew heavier. They also didn’t mind when we lingered after we settled the bill to wait it out. Prices were a little on the higher side for the fare but it wasn’t out to left field and it was a very tourist heavy area. 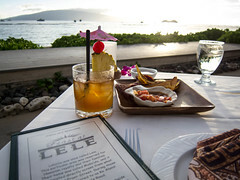 Food: Between The Fiance and I, we shared an Ahi Poke Bowl, Fish Tacos and the Fresh Catch of the Day. Both of us loved the taro chips provided to scoop up the two kinds of ahi poke. They were fresh, thin and crispy. 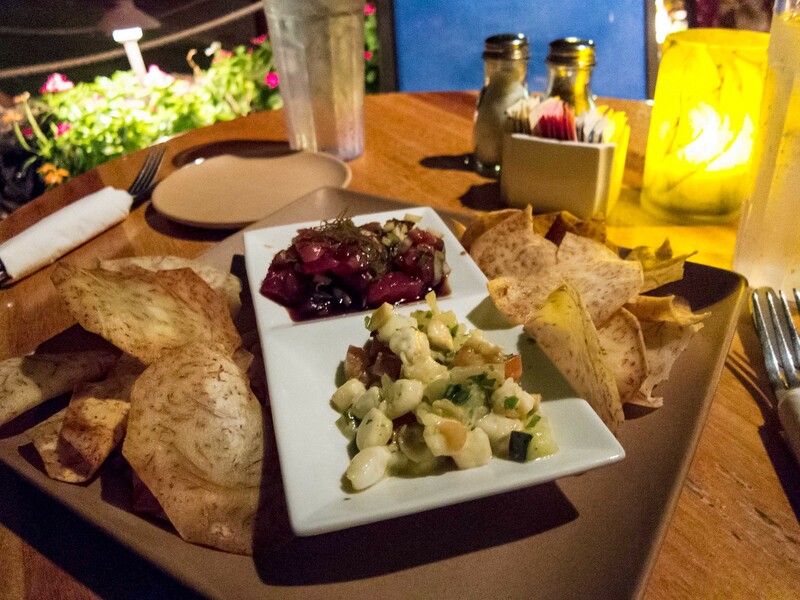 The poke themselves were on the very salty side and we quickly got through all of the chips. Delicious, but super salty. 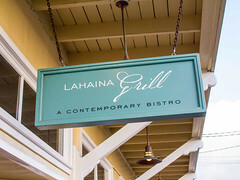 Between Hula Grill and Leilani’s, I preferred Leilani’s fish taco while The Fiance liked Hula Grill’s. 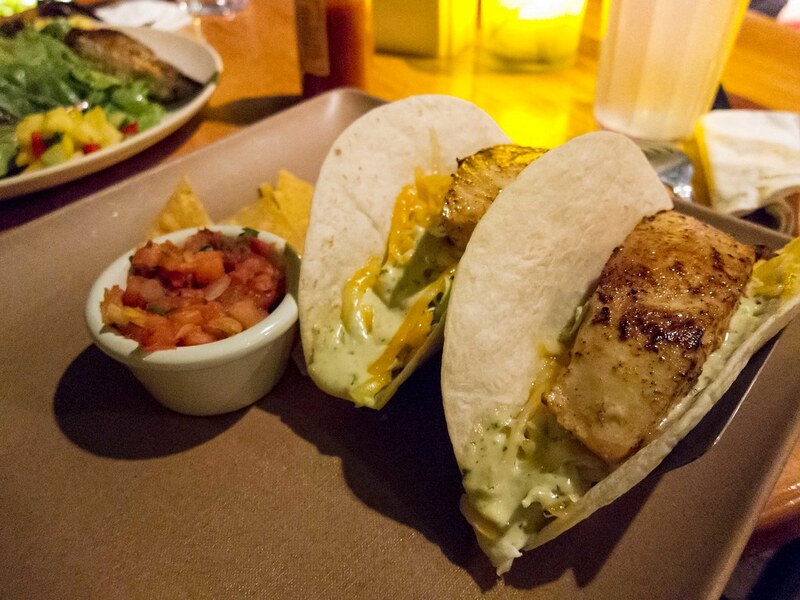 Now looking back, I also realize that almost every restaurant has some kind of claim that their fish taco is the best on the island. I liked how firm the fish was and the creaminess of the cheese and sauce. I also thought the tortilla held up better and had a firmer texture. I don’t remember exactly what the catch of the day was but when placing the order, we were able to choose how to the fish would be cooked. Options included plain grilled, grilled with butter and cajun style. 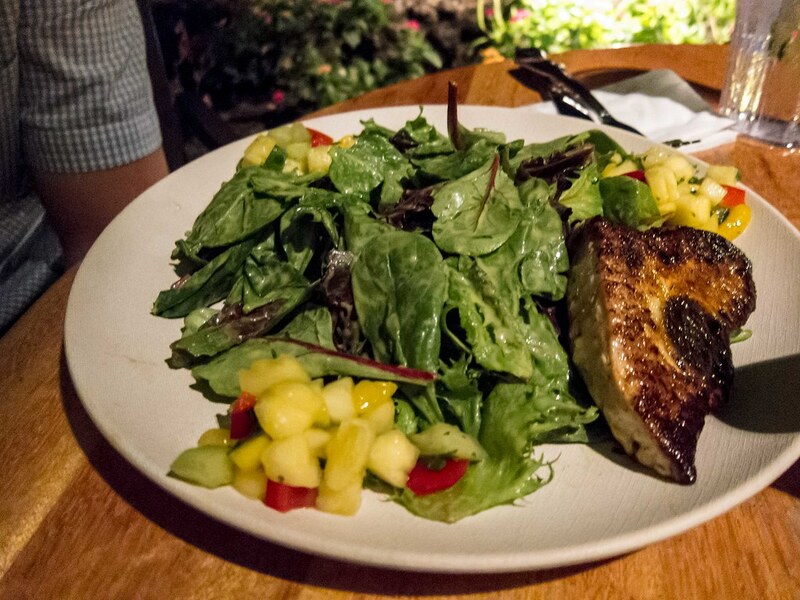 We choose cajun and the fish was served alongside a giant pile of fresh greens and mounds of pineapple salsa. The salad was generously dressed, a little too heavily for my taste. The fish was heavenly, cooked perfectly, flakey and well seasoned. My one regret was not having enough room left for a slice of Hula Pie. Three women at the table beside us split a slice and I almost asked to join in. It looked like layers of chocolate, whipped cream and heaven but The Fiance is lactose intolerant and I couldn’t finish a whole slice myself. I really should have tried.